Dutch Boy to present: ""2007: A Space Odyssey""
From a Dutch Boy press release: This season, Dutch Boy will present "2007: A Space Odyssey." The corps will blast off on an intergalactic adventure using some popular space themed music and visual concepts. Dutch Boy percussionists perform at the 2006 DCI World Championships. Dutch Boy and the Northstar Youth Organization will celebrate 30 years during the 2007 season. With a 100 percent return rate of local veteran members at their September rehearsal and the re-start of the Cadets of Dutch Boy program which allows the youth of the community aged nine to 14 to begin their drum corps experience, the corps is already looking forward to the new year. 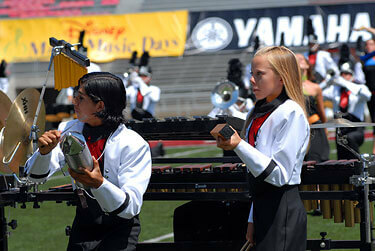 Read more about Dutch Boy at www.dutchboydrumcorps.com.